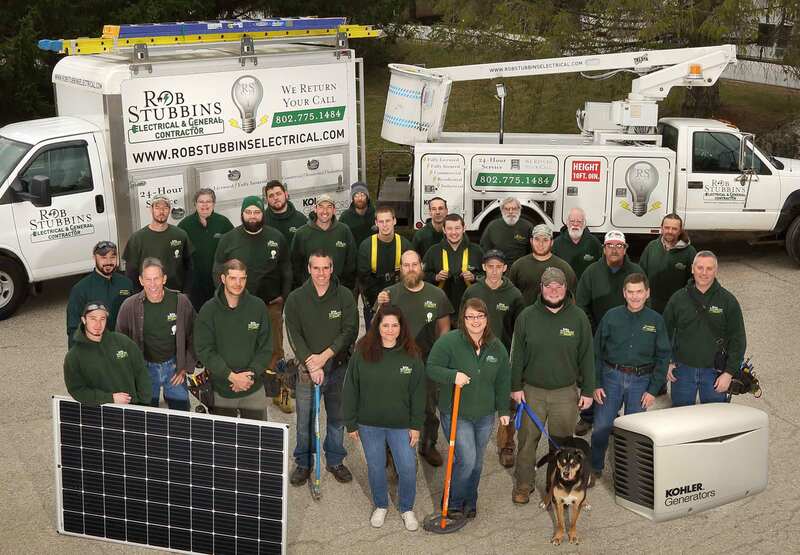 Our skilled team of master electricians, journeymen and apprentice electricians provide a wide range of services for homes and businesses far beyond the Rutland Region, covering Central Vermont as well. Our areas of expertise range from small residential installations, upgrades and replacements to major commercial new build and retrofit projects. Commercial projects range from basic services and maintenance to elaborate lighting plans, generator installations and solar field installations, to complete wiring of new or expanding facilities. Residential services range from simple adding or replacing receptacles to complete knob & tube removal and updating, new home wiring, lighting plans and installation, electrical system repairs, alternative power with emergency back-up systems, retrofits and rewiring complete homes, plus year-round 24-hour emergency service.